Just across the river from the City Center you'll find the hugely popular neighborhoods that make up Northeast Portland, including the Lloyd District, Hollywood, Irvington, Mississippi and more. We've included everything east of the river and north of Burnside on this page. While most of the high-rises are in the City Center you'll still find them scattered here, and you'll also find some of Portland's newest mid-rise condo buildings like TwentyTwenty. 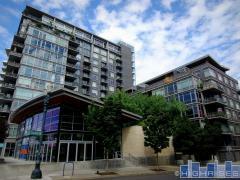 All the Northeast Portland condos for sale today are listed below. Contact us anytime at 503-567-7979 if we can be of assistance.